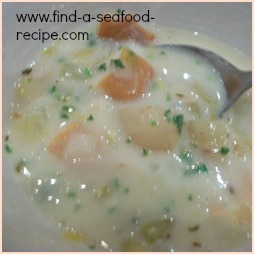 Here, you will find seafood stew recipes that you can adapt for whatever meal you need. Whether it's a dinner party or an informal family meal - you will find a recipe to suit. 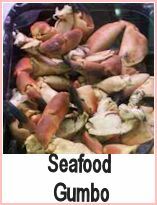 Seafood is very quick to cook and does not really lend itself to traditional stewing - but as a basic guide, you will stew your vegetables in fish stock, wine or a combination and add your fish for the last few minutes cooking time only. 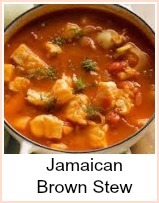 A spicy Basa Fish Stew using just four ingredients and one pot. 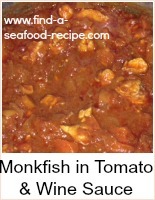 A quick and versatile tomato and thyme sauce using basa fillets - any white fish would be good or this sauce would be great with pasta. 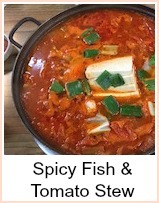 This stew recipe is one I sometimes use on holiday - it can be done in one pot on a cooking ring and whatever you have caught that day can be used as your fish. A good change from barbecuing your catch of the day. 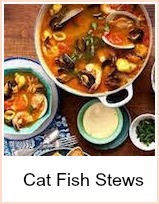 Delightful Cat Fish, Broccoli and Sweetcorn and an Italian Cat Fish Stew with Mussels and Prawns. 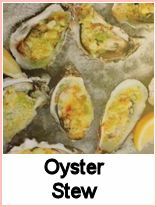 Lovely with crusty bread. Cat fish with crispy bacon and potatoes - a one pot meal making it super simple. Simple haddock stew with seafood cocktail and vegetables. A complete meal - quick and easy. 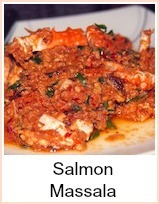 A delicious spicy indian style salmon stew - flavoured with tandoori spices. Contributed by my friend Alf Pedersen who has been an absolute treausre with help and advice. 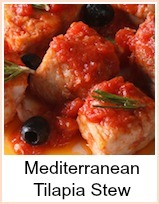 One of my favorites - Monkfish with prawns and olives in a tomato and white wine sauce. 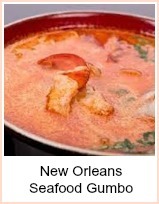 A quick and authentic version of the Louisiana New Orleans Seafood Gumbo. 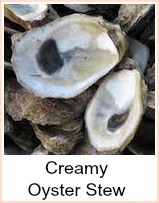 Tasty oyster stew - traditional Christmas Eve fare - quick and simple to prepare. A great seafood gumbo with corn and crab claws. 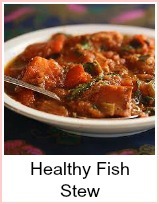 Mediterranean style tilapia fish - serve over cooked rice or pasta for a delicious meal. 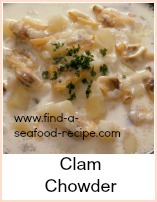 You will find seafood stew recipes for basic family meals or elaborate dinner parties. 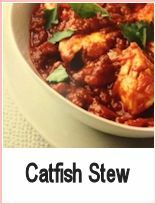 There are stews from India, Italy and France - Cajun stew recipes, basic white fish, smoked fish and fancy shellfish ideas. 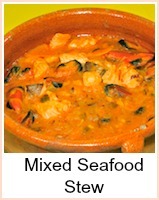 By substituting your favourite seafood, you will be able to create your own seafood stew recipe.